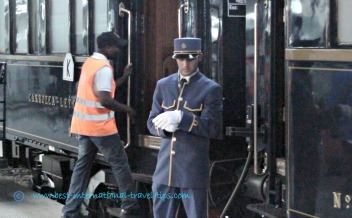 Taking the Venice Simplon-Orient express from Paris to the St Lucia station in Venice Italy has been a dream of mine since I was a young girl. If you have read some of my other posts you will see that I did a lot of dreaming. Some of them were pretty big dreams especially for a girl that comes from a family of modest means. Most of the travel we did was in an RV around Canada and the U.S. 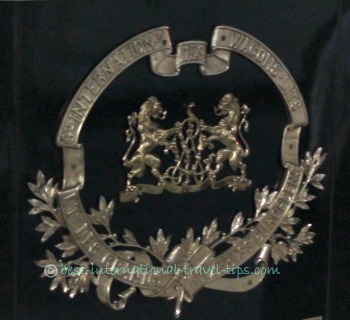 I am an avid reader and have read several books about or that mentioned the Orient express. It conjures up visions of luxury, mystery and romance and Agatha Christie. I have quite a bucket list when it comes to travel. I also have come up a bit in the world but still not enough for this dream to come true just yet. It would cost over $5,500.00 base price if we got a special offer for the two of us and considering that it is just an overnight trip, it’s a fair sum of money. It was Al’s idea to go to the station and see the train arrive, this is one of the things he really wanted to do. I sent an email to the company and they were very nice and gave us the dates and arrival times. That night we dressed nicely and went to catch the train we were not getting on and going nowhere! 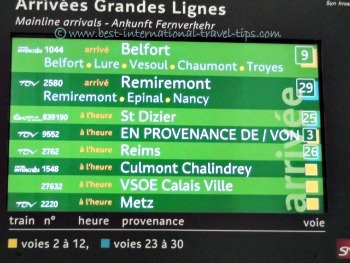 We took pictures of the boards after double checking its arrival and departure times. It was a really nice train station. There were little booths were you could purchase tickets and places to eat and rest. 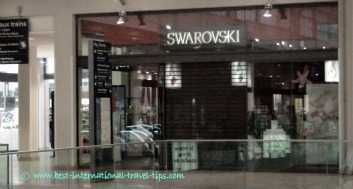 We window shopped as there were a number of upscale stores like Sworovski Crystal in one section of the station that looked like a mall. 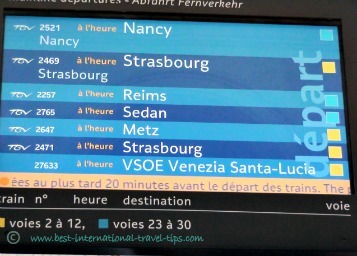 High speed train at Gare de l’est Paris. 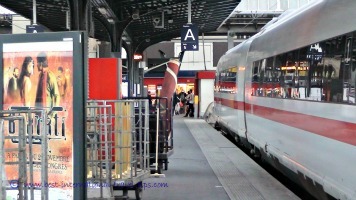 There were lots of high speed luxury trains arriving. At first it looked like a modern train not a restored one, until we realized that it just had a modern engine car to pull it. It was just as I had envisioned it. The chef got out and the uniformed bellman waited by the door for new or returning passengers. Now I knew it was real and still in operation. We took our pictures beside the shiny car the one with the insignia on it of course. A couple was waiting to deliver a computer to someone and ran up to the train when it stopped. A young man got on in shorts, I don’t know if he was a worker or a passenger. It made for a really nice inexpensive evening and we went for our usual walk and stopped for a crepe again on the way home. I was very happy as I was feeling very good that evening. Al really enjoyed it also and said it was really nice to do something relaxing. The area had a nice church and a Holiday Inn that looked nothing like the ones were we have stayed. They didn’t all look like the Holiday Inn and some of the other hotels and staff in the area actually looked a little sleazy. Someone put their hands in my purse when he walked by me. It looked like it was open but it was just a compartment that held my Kleenex, mints, comb that type of thing…nothing valuable. So he didn’t get anything except a slap on the hand. 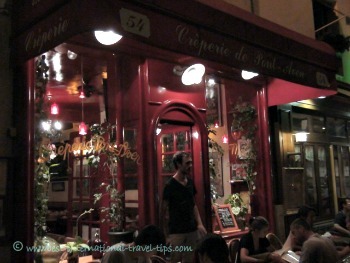 We stopped at the Creperie de Pont-Aven, near our apartment in Montparnasse. We shared two crepes, one was called the Parisian with mushroom ham and cheese (I had to just pick out the ham) and the other one called Pennach with Chantilly, vanilla ice-cream and fruit sauce. They were very large and made of Bulgar wheat. I kept the coaster as a souvenir. 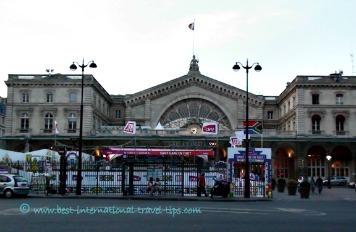 The train leaves the Gare de l’est in the evening and it heads out while the passengers are dinning. It is a good idea to dress nicely as it gives everyone a better experience. The next day you can have breakfast in your room, lunch in the restaurant car and then afternoon tea is served before arriving at the Santa Lucia station in Venice Italy. 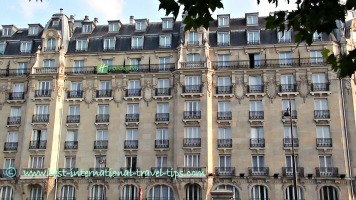 There are lots of less expensive trips including day trips and dinner trips and very expensive ones as you can take it all over Europe. I have a few more things ahead of this on my bucket list but I know I will go on this adventure one day. 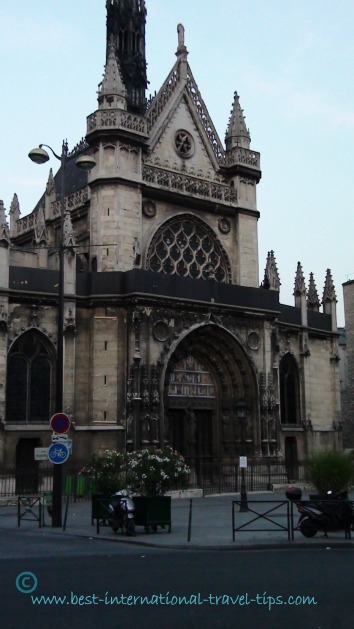 This entry was posted in France, Paris, Travel, Travel tips, Venice and tagged Gare del'est, Italy, Orient Express, Paris, St. Lucia, train, train station, Venezia Santa Lucia railway station, Venice Simplon-Orient express. Bookmark the permalink. 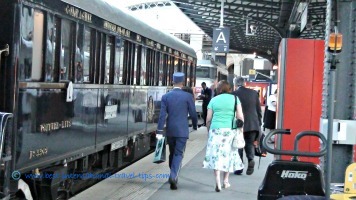 6 Responses to Met the Orient express… but we’re going nowhere! What an extraordinary alternative experience. Maybe we need to consider other enjoyable means of partially exploring our bucket list when unable to experience the real thing. Life is not diminished by alternatives. Well said, I couldn’t agree more. We enjoyed it thoroughly and still have the real deal to look forward to. Yes I will get to be a passenger, but it will probably be a couple of years from now…so many things to see and do. Wow.. I would totally get into traveling on this train! Imagine the service and the food! At least it does sound like you had some pretty wonderful food yourself, next time it will be the train as well!! I am sure the food would be exceptional made by world class French chefs with the finest ingredients but we enjoyed great food that night, it is pretty nice having crepes in Paris. It will be nice to keep the dream a bit longer and that much better when it comes true.